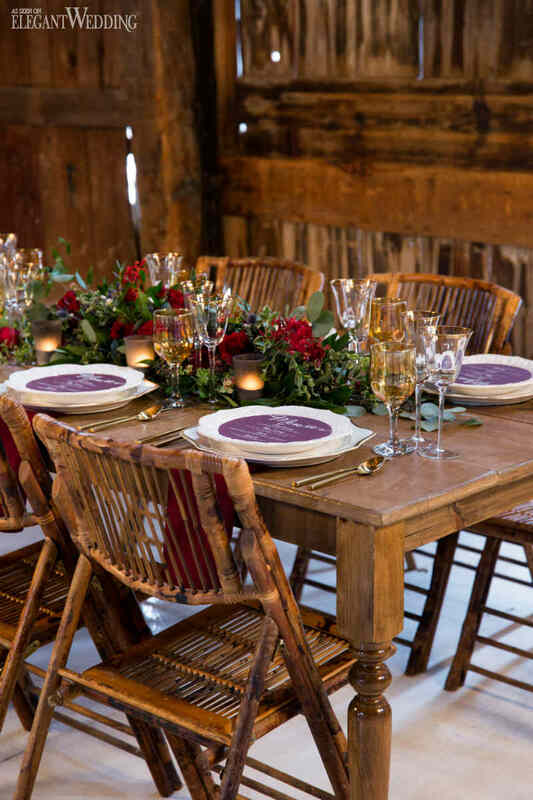 Who says you can’t have a barn wedding in winter? Breathtaking woodsy elements and a bold burgundy palette are what brought this barn wedding theme to life. With twinkling lights overhead and greenery growing up the walls, one can’t deny the scene instills a sense of warmth in the middle of winter. In addition to the bright red and burgundy florals and laser cut invitations, elegant gold details were incorporated throughout the rustic scene.